William E. Bentley is the Robert E. Fischell Distinguished Chair of Engineering and the Inaugural Director of the Robert E. Fischell Institute for Biomedical Devices. He is also appointed to the Department of Chemical and Biomolecular Engineering at the University of Maryland, College Park and the Institute for Bioscience and Biotechnology Research. 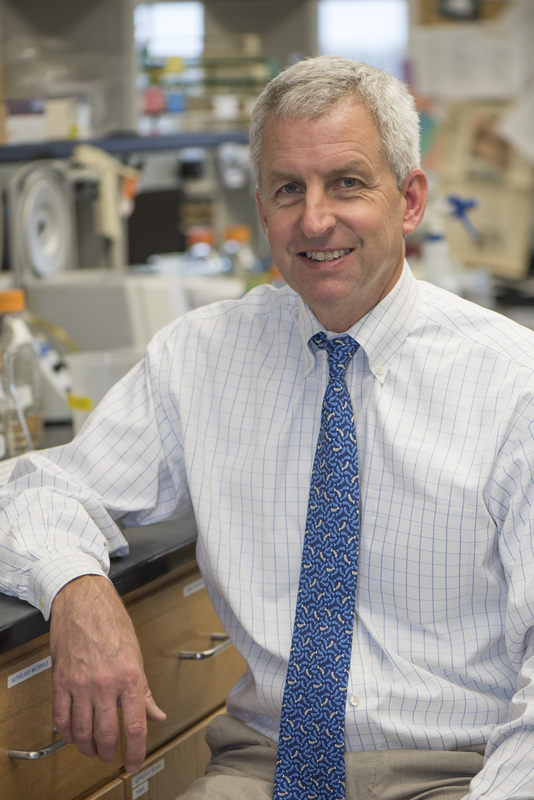 At Maryland since 1989, Dr. Bentley has focused his research on the development of molecular tools that facilitate the expression of biologically active proteins, having authored over 300 related archival publications. He is a fellow of AAAS, ACS, AIMBE, and the American Academy of Microbiology. He has served on advisory committees for the NIH, NSF, DOD, DOE, FDA, USDA, and several state agencies and has mentored over 40 PhDs and 25 postdocs, many now in leadership roles within industry (24), federal agencies (5) and academia (26). He co-founded a protein manufacturing company, Chesapeake PERL, based on insect larvae as mini bioreactors. Distinguished University Professors will have been recognized nationally and internationally for the importance of their scholarly and/or creative achievements. They will also have demonstrated the breadth of interest characteristically encompassed by the traditional role of scholar, teacher, and public servant. In addition, they will have brought distinction to the University of Maryland as a result of those activities. The Marvin J. Johnson Award in Microbial and Biochemical Technology, to recognize outstanding research contributions to microbial and biochemical technology. The Award is presented by the Division of Biochemical Technology at the Spring meeting of the American Chemical Society. The Award was established in 1978 and is currently sponsored by Pfizer. This award is given to recognize individuals who have made one or more outstanding research contributions in industrial microbiology and/or biotechnology. These contributions should be of exceptional merit, reflecting an independence of thought and originality that adds appreciably to scientific knowledge. Activities such as journal editing, organizing and chairing conferences, and serving scientific societies in official capacities also may be considered when judging research contributions. However, the most important factor in selecting nominees for this Award is research accomplishments. The American Chemical Society (ACS) Fellows Program was created by the ACS Board of Directors in December 2008 to recognize members of ACS for outstanding achievements in and contributions to science, the profession, and the Society. Recognizes an individual's outstanding chemical engineering contribution in the food, pharmaceutical and/or bioengineering field, of fundamental nature and/or of practical significance to industry and industrial practice. These contributions may have been made in industry, government, or academic settings, or with other organizations. The American Institute for Medical and Biological Engineering (AIMBE) is a non-profit organization headquartered in Washington, D.C., representing 50,000 individuals and the top 2% of medical and biological engineers. In addition, AIMBE represents academic institutions, private industry, and professional engineering societies. AIMBE was founded in 1991 and its current vision is to provide leadership and advocacy in medical and biological engineering for the benefit of society. Over the last 50 years, 2,700 distinguished scientists have been elected to the Academy. Fellows are elected through a highly selective, annual, peer review process, based on their records of scientific achievement and original contributions that have advanced microbiology. A Committee on Elections, consisting of Fellows of the Academy who are elected by the membership, reviews all nominations for Fellowship and recommends to the Board of Governors what action should be taken. A member whose efforts on behalf of the advancement of science or its applications are scientifically or socially distinguished and who has been a continuous member for the four year period leading up to the year of nomination, may, by virtue of such meritorious contribution be elected a Fellow by the Council. Examples of areas in which nominees may have made significant contributions are research; teaching; technology; services to professional societies; administration in academe, industry, and government; and communicating and interpreting science to the public. Fellows are elected annually by the AAAS Council from the list of approved nominations from the Section Steering Committees. 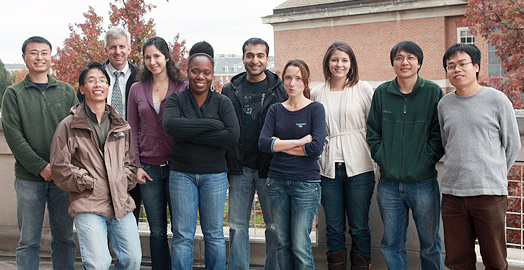 AIMBE’s College of Fellows includes around 1,500 individuals who have made significant contributions to the medical and biological engineering (MBE) community whether in academia, industry, or government and their contributions to MBE research, industry practice, and education have transformed the world. Recent interests are on deciphering and manipulating signal transduction pathways, including those of bacterial communication networks, for altering cell phenotype. To enable discovery, his lab develops new strategies for opening ‘communication’ between devices and biological systems by the creation and facile assembly of biologically functional interfaces. These concepts are emerging as a field of ‘biofabrication’ that exploits biological components and processes for assembly. We create molecular tools to understand the regulation of genetic curcuits during applied stresses. We also use transcriptional promoter probes, quantitative RT-PCR, Western analyses to gain near real time information on the dynamics of metabolites, genes, proteins, and protein assemblies in targeted circuits. One objective is to alter the intracellular environment to improve cellular processes, including the production of recombinant proteins. In order to make use of the vast quantities of data, we need to organize them in reduced dimensional space, develop appropriate mathematical models, and then ultimately control phenotypic behavior. This is a component of Systems Biology. We are also actively pursuing transient metabolic controllers to minimize pleiotropy. This is a component of Synthetic Biology. We incorporate signal transduction modalities and RNA controllers to modulate, in vivo, the level of specific regulatory proteins, and downstream proteins in cascaded control loops. We are also the first group to develop a means to control bacterial subpopulations and sort quantized quorums based on QS signaling (see Servinsky et al., ISME Journal, 2015). With this technology we can answer questions like "How many bacteria of our group should seek out new and better territories?" or "If our entire population is challenged with an antibiotic, should we all make resistance proteins or just a few, so our colony survives in the long run?" One exciting target is a newly characterized signal transduction pathway that communicates cell population, enabling individual bacteria to act with multicellularity. This phenomenon, also known as "quorum sensing, (QS)", results in cell-to-cell communication and plays a significant role in regulating cell behavior. In the LuxS-mediated signaling system of E. coli, we are the first group to explore the impact of AI-2 on the transcriptome (Delisa et al., J. Bact, 2001; Wang et al., J. Bact. 2005) and we are the first group to elucidate the impact of quorum regulator, LsrR and kinase, LsrK (Li, et. al., J. Bact. 2007). 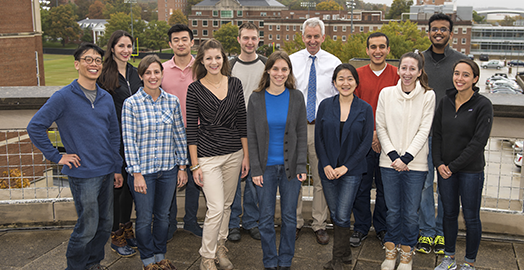 We are the first group to mathematically model quorum circuitry (Li, et. al., Nature Mol. Sys. Biol., 2006). Our efforts to develop innovative controllers of signal transduction have yielded biological nanofactories that bring biochemical enzyme activities to the outer surfaces of cells so that molecules can be synthesized directly where they can be used…in our case to interrupt bacterial communication (Fernandes et al., Nature Nanotech., 2010). Current efforts include deciphering LuxS regulated genes and the impact of QS on the intracellular biomolecular landscape that influences protein synthesis; we have created a completely new system for expressing proteins that requires no operator input or sampling (Tsao et al., Met. Eng., 2010). Finally, because we have exploited signaling pathways to control individual and groups of cells, we engineered bacteria to seek out and kill pathogens, namely, Pseudomonas aeruginosa, in the GI tract of mice. (Hwang et al., Nature Comm., 2017). This notion of synthetic biology is different than small molecule generation – the more common objective of synthetic biology. In our view, the cells themselves can be the functioning products of synthetic biology in that they can recognize, compute, actuate, and deliver, all in a programmed manner. We are engaged in a multidisciplinary effort to create systems that serve to bridge the communication gap between biology and electronic microfabricated devices. Since biology “communicates” via small molecule signaling (like in quorum sensing above) and ion flow and because we can program devices with electrons, we have a problem in translation. We employ Nature’s second most abundant biopolymer, chitosan, to serve as a “smart” stimuli-responsive interface. We are generating a biofabrication "tool box" that enables the assembly of complex biological structures onto programmable devices that allows for the accurate interrogation of the biological system. In our case, quorum sensing and bacterial communication (and even cross-Kingdom signaling) serves as a wonderful test bed for listening in on biology. We are developing all sorts of new methods for localizing DNA, proteins, cells and cell assemblies onto devices that will serve to break down complexities so that discoveries can be attributed to specific molecules, gradients, patterns, etc. With Sheref Mansy's group in Italy, we have created "artificial cells" that were able to interpret non-native chemical cues and release biological effector molecules that altered naturally growing bacterial cells. (Lentini et al., Nature Comm., 2014). We anticipate developing new tools for deciphering the presence of pathogens, for understanding and treating metabolic diseases, cancer, and hemorrhagic shock. Finally, we have developed a means to electronically assemble and control the activity of a two-enzyme biosynthetic pathway that leads to the bacterial QS autoinducer, AI-2 (Gordonov et al., Nature Nanotech., 2014). This showed for the first time that one can electrically connect to and control biological behavior—as our signal molecule generated and controlled on chip determines behavioral phenotype at the population level. We have also for the first time, demonstrated direct electrical actuation of gene expression in bacteria. We exploited redox signaling, but actuated in a reversible manner expression of several genes in E. coli, including those that synthesize native signaling molecule, AI-1. This molecule, in turn, actuated gene expression in neighboring cells. Hence, electrically programmed cells were made to stimulate signaling via native biological means. (Tshirhart et al., Nature Comm., 2017). For a glimpse of some of these activities, please visit the Biochip Collaborative web site. A selective list of publications that Dr. Bentley has authored/co-authored in the past few years. For a complete list of Dr. Bentley's publications, please visit his Google Scholar profile. Quorum sensing (QS), a bacterial process that regulates population-scale behavior, is mediated by small signaling molecules, called autoinducers (AIs), that are secreted and perceived, modulating a “collective” phenotype. Because the autoinducer AI-2 is secreted by a wide variety of bacterial species, its “perception” cues bacterial behavior. This response is mediated by the lsr (LuxS-regulated) operon that includes the AI-2 transporter LsrACDB and the kinase LsrK. We report that HPr, a phosphocarrier protein central to the sugar phosphotransferase system of Escherichia coli, copurifies with LsrK. Cocrystal structures of an LsrK/HPr complex were determined, and the effects of HPr and phosphorylated HPr on LsrK activity were assessed. LsrK activity is inhibited when bound to HPr, revealing new linkages between QS activity and sugar metabolism. These findings help shed new light on the abilities of bacteria to rapidly respond to changing nutrient levels at the population scale. They also suggest new means of manipulating QS activity among bacteria and within various niches. Bacteria can be genetically engineered to kill specific pathogens or inhibit their virulence. We previously developed a synthetic genetic system that allows a laboratory strain of Escherichia coli to sense and kill Pseudomonas aeruginosa in vitro. Here, we generate a modified version of the system, including a gene encoding an anti-biofilm enzyme, and use the probiotic strain Escherichia coli Nissle 1917 as host. The engineered probiotic shows in vivo prophylactic and therapeutic activity against P. aeruginosa during gut infection in two animal models (Caenorhabditis elegans and mice). These findings support the further development of engineered microorganisms with potential prophylactic and therapeutic activities against gut infections. The ability to interconvert information between electronic and ionic modalities has transformed our ability to record and actuate biological function. Synthetic biology offers the potential to expand communication ‘bandwidth’ by using biomolecules and providing electrochemical access to redox-based cell signals and behaviours. While engineered cells have transmitted molecular information to electronic devices, the potential for bidirectional communication stands largely untapped. Here we present a simple electrogenetic device that uses redox biomolecules to carry electronic information to engineered bacterial cells in order to control transcription from a simple synthetic gene circuit. Electronic actuation of the native transcriptional regulator SoxR and transcription from the PsoxS promoter allows cell response that is quick, reversible and dependent on the amplitude and frequency of the imposed electronic signals. Further, induction of bacterial motility and population based cell-to-cell communication demonstrates the versatility of our approach and potential to drive intricate biological behaviours. Scientists often exploit the motility of peritrichously flagellated bacteria for various applications. A common alteration is modifying the frequency of mid-movement changes in direction, known as tumbles. Such differences in bacterial swimming patterns can prove difficult to quantify, especially for those without access to high-speed optical equipment. Traditionally, scientists have resorted to less accurate techniques, such as soft agar plate assays, or have been forced to invest in costly equipment. Here, we present TumbleScore, software designed to track and quantify bacterial movies with slow, as well as fast, frame-rates. Developed and fully contained within MATLAB, TumbleScore processes motility videos and returns pertinent tumbling metrics, including: (i) linear speed, (ii) rotational speed, (iii) percentage of angle changes below a given threshold, and (iv) ratio of total path length to Euclidian distance, or arc-chord ratio (ACR). In addition, TumbleScore produces a “rose graph” visualization of bacterial paths. The software was validated using both fabricated and experimental motility videos. Advances in nanotechnology have provided unprecedented physical means to sample molecular space. Living cells provide additional capability in that they identify molecules within complex environments and actuate function. 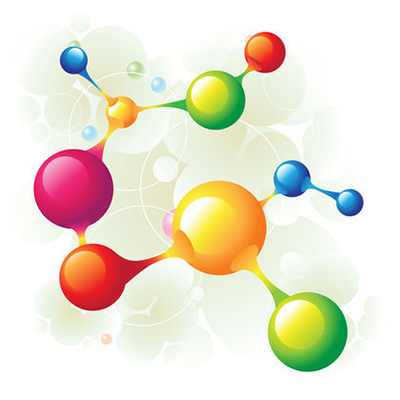 We have merged cells with nanotechnology for an integrated molecular processing network. Here we show that an engineered cell consortium autonomously generates feedback to chemical cues. Moreover, abiotic components are readily assembled onto cells, enabling amplified and ‘binned’ responses. Specifically, engineered cell populations are triggered by a quorum sensing (QS) signal molecule, autoinducer-2, to express surface-displayed fusions consisting of a fluorescent marker and an affinity peptide. The latter provides means for attaching magnetic nanoparticles to fluorescently activated subpopulations for coalescence into colour-indexed output. The resultant nano-guided cell network assesses QS activity and conveys molecular information as a ‘bio-litmus’ in a manner read by simple optical means. Many reports have elucidated the mechanisms and consequences of bacterial quorum sensing (QS), a molecular communication system by which bacterial cells enumerate their cell density and organize collective behavior. In few cases, however, the numbers of bacteria exhibiting this collective behavior have been reported, either as a number concentration or a fraction of the whole. Not all cells in the population, for example, take on the collective phenotype. Thus, the specific attribution of the postulated benefit can remain obscure. This is partly due to our inability to independently assemble a defined quorum, for natural and most artificial systems the quorum itself is a consequence of the biological context (niche and signaling mechanisms). Here, we describe the intentional assembly of quantized quorums. These are made possible by independently engineering the autoinducer signal transduction cascade of Escherichia coli (E. coli) and the sensitivity of detector cells so that upon encountering a particular autoinducer level, a discretized sub-population of cells emerges with the desired phenotype. In our case, the emergent cells all express an equivalent amount of marker protein, DsRed, as an indicator of a specific QS-mediated activity. The process is robust, as detector cells are engineered to target both large and small quorums. The process takes about 6 h, irrespective of quorum level. We demonstrate sensitive detection of autoinducer-2 (AI-2) as an application stemming from quantized quorums. We then demonstrate sub-population partitioning in that AI-2-secreting cells can ‘call’ groups neighboring cells that ‘travel’ and establish a QS-mediated phenotype upon reaching the new locale. Hydrated carbonyl groups in AI-2, a quorum sensing autoinducer, make key hydrogen bonding interactions in the binding site of LsrR (a transcriptional regulator). This can be recapitulated with geminal dibromides, via halogen bonding. Geminal dihalogens represent interesting isosteric replacements for hydrated carbonyls in ligands and are currently under-utilized in ligand design. Microelectronic devices that contain biological components are typically used to interrogate biology rather than control biological function. Patterned assemblies of proteins and cells have, however, been used for in vitro metabolic engineering, where coordinated biochemical pathways allow cell metabolism to be characterized and potentially controlled on a chip. Such devices form part of technologies that attempt to recreate animal and human physiological functions on a chip and could be used to revolutionize drug development. These ambitious goals will, however, require new biofabrication methodologies that help connect microelectronics and biological systems and yield new approaches to device assembly and communication. Here, we report the electrically mediated assembly, interrogation and control of a multi-domain fusion protein that produces a bacterial signalling molecule. The biological system can be electrically tuned using a natural redox molecule, and its biochemical response is shown to provide the signalling cues to drive bacterial population behaviour. We show that the biochemical output of the system correlates with the electrical input charge, which suggests that electrical inputs could be used to control complex on-chip biological processes. Previous efforts to control cellular behaviour have largely relied upon various forms of genetic engineering. Once the genetic content of a living cell is modified, the behaviour of that cell typically changes as well. However, other methods of cellular control are possible. All cells sense and respond to their environment. Therefore, artificial, non-living cellular mimics could be engineered to activate or repress already existing natural sensory pathways of living cells through chemical communication. Here we describe the construction of such a system. The artificial cells expand the senses of Escherichia coli by translating a chemical message that E. coli cannot sense on its own to a molecule that activates a natural cellular response. This methodology could open new opportunities in engineering cellular behaviour without exploiting genetically modified organisms. It is well-established that redox-reactions are integral to biology for energy harvesting (oxidative phosphorylation), immune defense (oxidative burst) and drug metabolism (phase I reactions), yet there is emerging evidence that redox may play broader roles in biology (e.g., redox signaling). A critical challenge is the need for tools that can probe biologically-relevant redox interactions simply, rapidly and without the need for a comprehensive suite of analytical methods. We propose that electrochemistry may provide such a tool. In this tutorial review, we describe recent studies with a redox-capacitor film that can serve as a bio-electrode interface that can accept, store and donate electrons from mediators commonly used in electrochemistry and also in biology. Specifically, we (i) describe the fabrication of this redox-capacitor from catechols and the polysaccharide chitosan, (ii) discuss the mechanistic basis for electron exchange, (iii) illustrate the properties of this redox-capacitor and its capabilities for promoting redox-communication between biology and electrodes, and (iv) suggest the potential for enlisting signal processing strategies to “extract” redox information. We believe these initial studies indicate broad possibilities for enlisting electrochemistry and signal processing to acquire “systems level” redox information from biology. Quorum sensing (QS) is a cell-to-cell communication system responsible for a variety of bacterial phenotypes including virulence and biofilm formation. QS is mediated by small molecules, autoinducers (AIs), including AI-2 that is secreted by both Gram-positive and -negative microbes. LsrR is a key transcriptional regulator that governs the varied downstream processes by perceiving AI-2 signal, but its activation via autoinducer-binding remains poorly understood. Here, we provide detailed regulatory mechanism of LsrR from the crystal structures in complexes with the native signal (phospho-AI-2, D5P) and two quorum quenching antagonists (ribose-5-phosphate, R5P; phospho-isobutyl-AI-2, D8P). Interestingly, the bound D5P and D8P molecules are not the diketone forms but rather hydrated, and the hydrated moiety forms important H-bonds with the carboxylate of D243. The D5P-binding flipped out F124 of the binding pocket, and resulted in the disruption of the dimeric interface-1 by unfolding the α7 segment. However, the same movement of F124 by the D8P′-binding did not cause the unfolding of the α7 segment. Although the LsrR-binding affinity of R5P (Kd, ∼1 mM) is much lower than that of D5P and D8P (∼2.0 and ∼0.5 μM), the α-anomeric R5P molecule fits into the binding pocket without any structural perturbation, and thus stabilizes the LsrR tetramer. The binding of D5P, not D8P and R5P, disrupted the tetrameric structure and thus is able to activate LsrR. The detailed structural and mechanistic insights from this study could be useful for facilitating design of new antivirulence and antibiofilm agents based on LsrR. There is a continuing quest to precisely fabricate soft matter for emerging opportunities in the medical and life sciences. Often this quest looks to nature as a source of materials or inspiration, and often the journey leads to polypeptides, nucleic acids, or their mimics. On page 154 of this issue, Ejima et al. (1) look elsewhere to find another self-assembling biological material—a search based on phenolics. Escherichia coli were genetically modified to enable programmed motility, sensing, and actuation based on the density of features on nearby surfaces. Then, based on calculated feature density, these cells expressed marker proteins to indicate phenotypic response. Specifically, site‐specific synthesis of bacterial quorum sensing autoinducer‐2 (AI‐2) is used to initiate and recruit motile cells. In our model system, we rewired E. coli's AI‐2 signaling pathway to direct bacteria to a squamous cancer cell line of head and neck (SCCHN), where they initiate synthesis of a reporter (drug surrogate) based on a threshold density of epidermal growth factor receptor (EGFR). This represents a new type of controller for targeted drug delivery as actuation (synthesis and delivery) depends on a receptor density marking the diseased cell. The ability to survey local surfaces and initiate gene expression based on feature density represents a new area‐based switch in synthetic biology that will find use beyond the proposed cancer model here. In order to control the behavior of bacteria present at the surface of human epithelial cells, we have created a biological “nanofactory” construct that “coats” the epithelial cells and “activates” the surface to produce the bacterial quorum sensing signaling molecule, autoinducer-2 (AI-2). Specifically, we demonstrate directed modulation of signaling among Escherichia coli cells grown over the surface of human epithelial (Caco-2) cells through site-directed attachment of biological nanofactories. These “factories” comprise a fusion protein expressed and purified from E. coli containing two AI-2 bacterial synthases (Pfs and LuxS), a protein G IgG binding domain, and affinity ligands for purification. The final factory is fabricated ex vivo by incubating with an anti-CD26 antibody that binds the fusion protein and specifically targets the CD26 dipeptidyl peptidase found on the outer surface of Caco-2 cells. This is the first report of the intentional “in vitro” synthesis of bacterial autoinducers at the surface of epithelial cells for the redirection of quorum sensing behaviors of bacteria. We envision tools such as this will be useful for interrogating, interpreting, and disrupting signaling events associated with the microbiome localized in human intestine and other environments. Biological nanofactories, which are engineered to contain modules that can target, sense and synthesize molecules, can trigger communication between different bacterial populations. These communications influence biofilm formation1, 2, virulence3, 4, bioluminescence5, 6 and many other bacterial functions7, 8 in a process called quorum sensing9. Here, we show the assembly of a nanofactory that can trigger a bacterial quorum sensing response in the absence of native quorum molecules. The nanofactory comprises an antibody (for targeting) and a fusion protein that produces quorum molecules when bound to the targeted bacterium. Our nanofactory selectively targets the appropriate bacteria and triggers a quorum sensing response when added to two populations of bacteria. The nanofactories also trigger communication between two bacterial populations that are otherwise non-communicating. We envision the use of these nanofactories in generating new antimicrobial treatments that target the communication networks of bacteria rather than their viability. 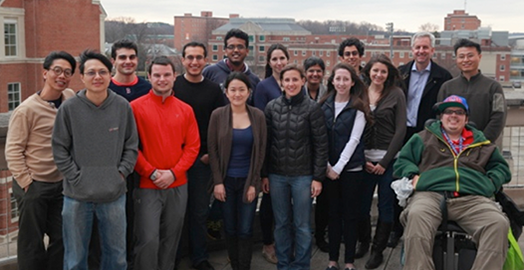 We emphasize quantitative understanding of biology and biological systems at the cellular and molecular levels. If we can understand biology’s design concepts and if we can recapitulate them mathematically, we could better understand the progression of disease and develop better medicines. We may even be in a position to create “smart” devices that interrogate biology and take action when needed. Presentation of techniques for characterizing and manipulating non-linear biochemical reaction networks. Advanced topics to include mathematical modeling of the dynamics of biological systems; separation techniques for heat sensitive biologically active materials; and rate processes in cellular and biomolecular systems. Methods are applied to current biotechnological systems, some include: recombinant bacteria; plant, insect and mammalian cells; and transformed cell lines. A combination of lectures and discussions covering biology from a utilization perspective, and lectures on illustrative mathematical models that capture the essences of characteristics of living entities. The biology material will focus on: distinguishing engineering from biological science, principles form the sciences applicable to biology, typical biological responses to environmental stimuli, scaling of biological responses, and different means to utilize living entities. Dr. Bentley strives to make himself as available as possible to students and faculty alike. If you'd like to meet with him or just get in touch, please use the contact information to the right. Email is the most practical form of communication and will typically yield the fastest response. Dr. Bentley does not have posted office hours. Please email him to schedule a time to meet. Dr. Bentley's office is located on the fifth floor of A. James Clark Hall. Dr. Bentley has two labs on campus, also located in Clark Hall.